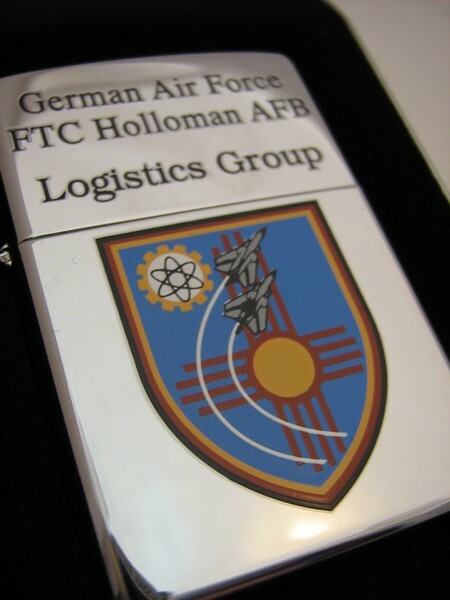 2001/02 Test sample made as one of the possible choices for the C.O.T.Y. 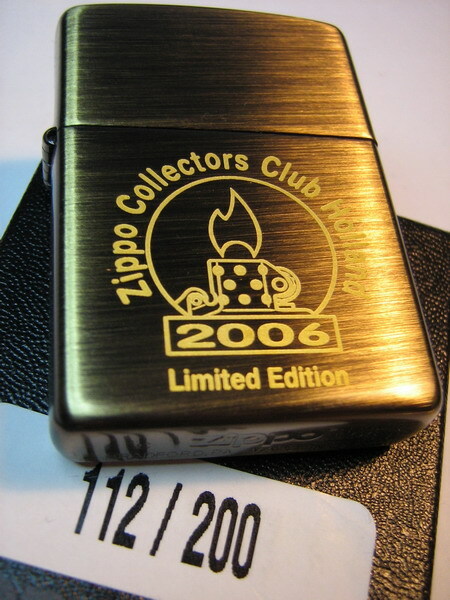 70th Anniversary "Friends for a Lifetime" on a Gold Rush Vein finish - eventually it went into production on a 1941 replica brushed brass. 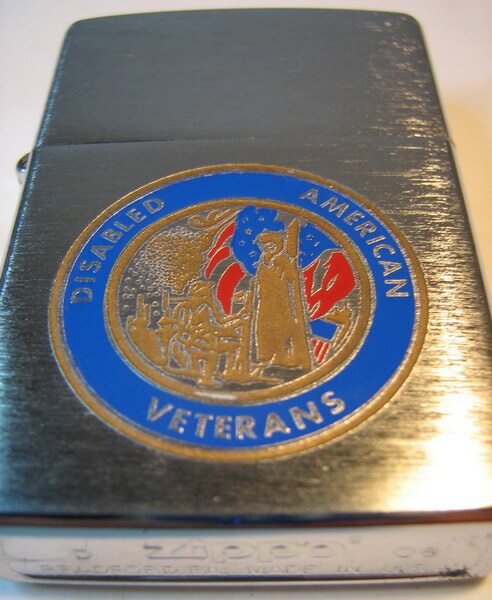 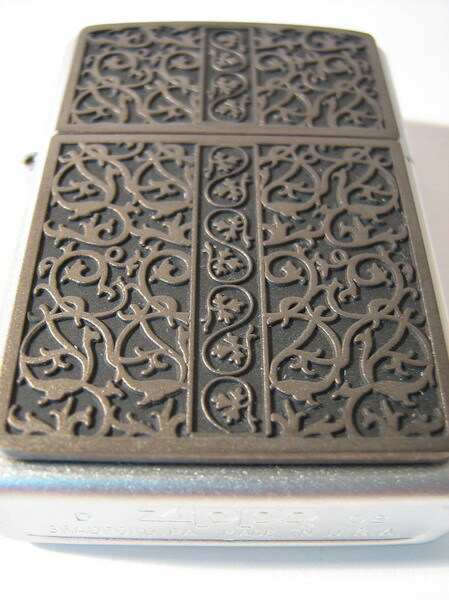 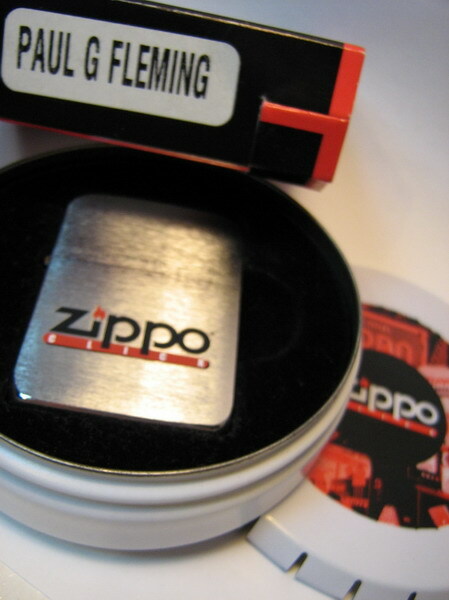 c. 2003 Zippo money clip. 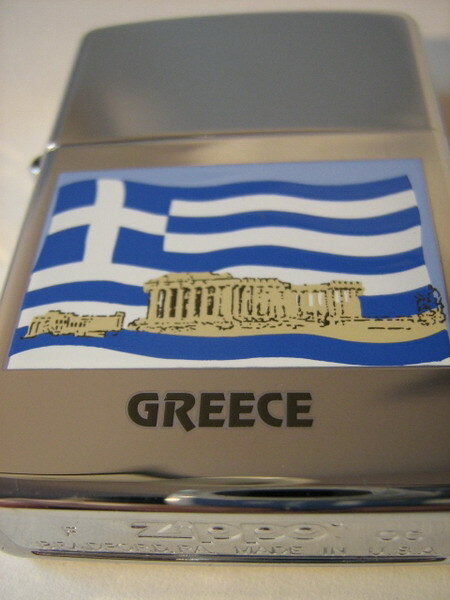 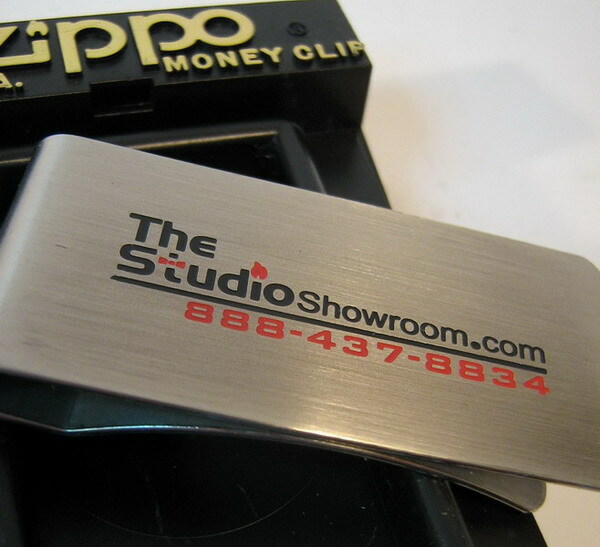 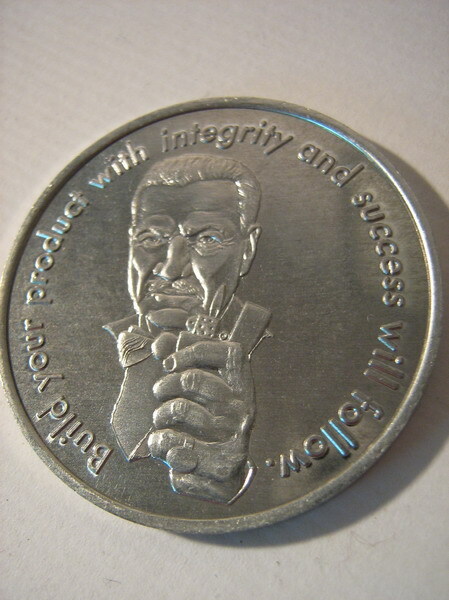 Money clips, produced by Bacchus Novelty, were first introduced in 1985. 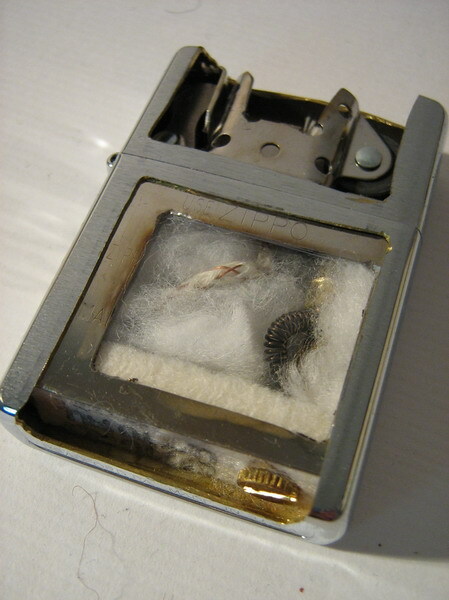 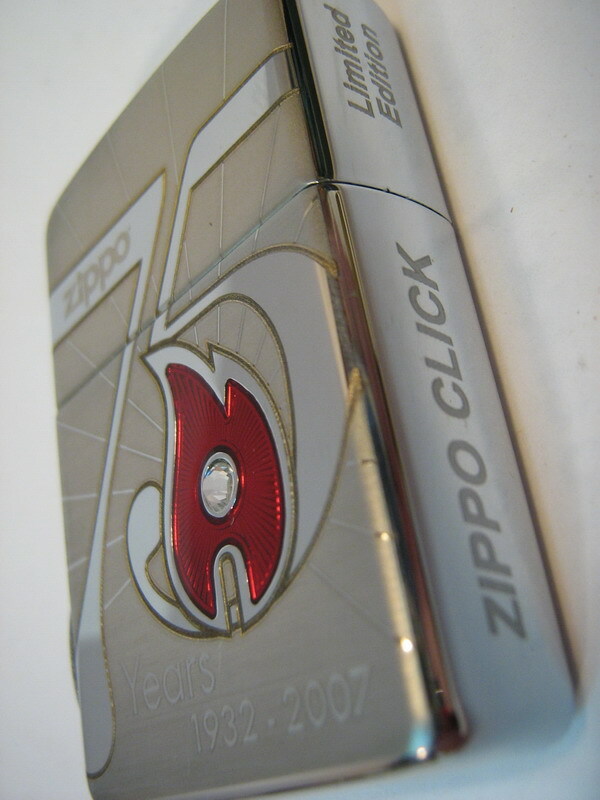 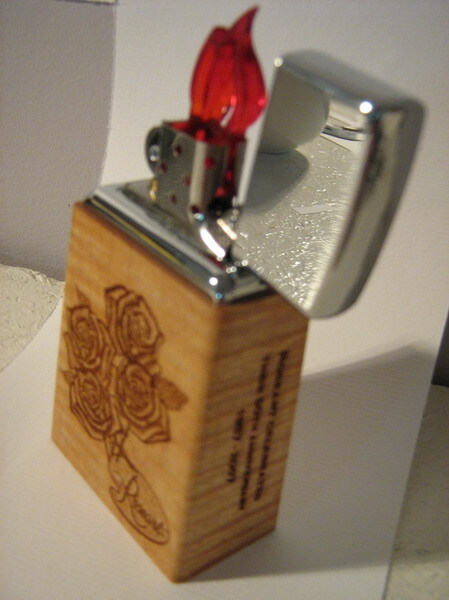 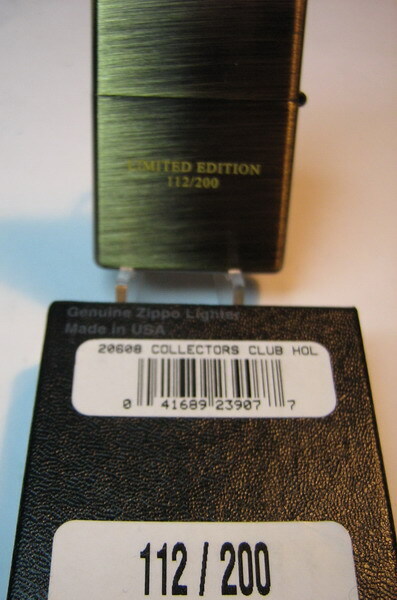 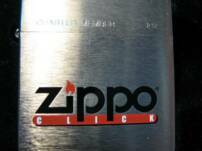 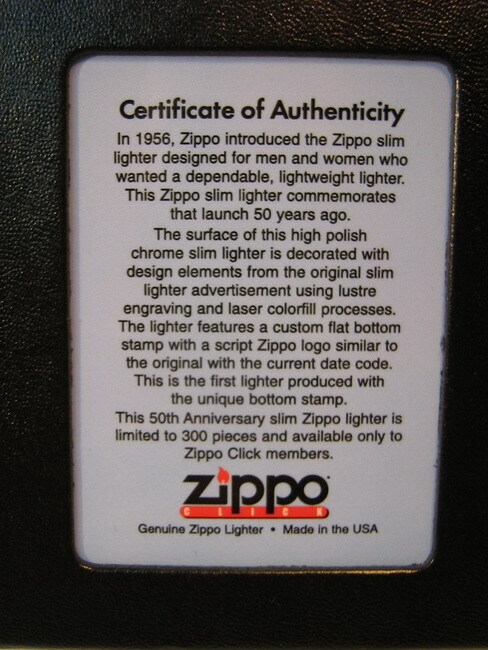 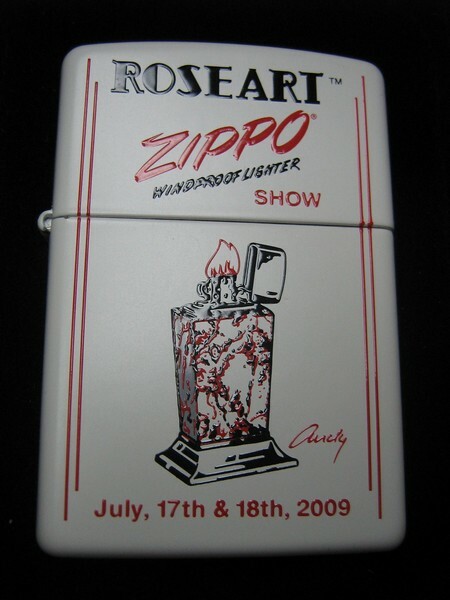 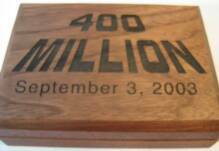 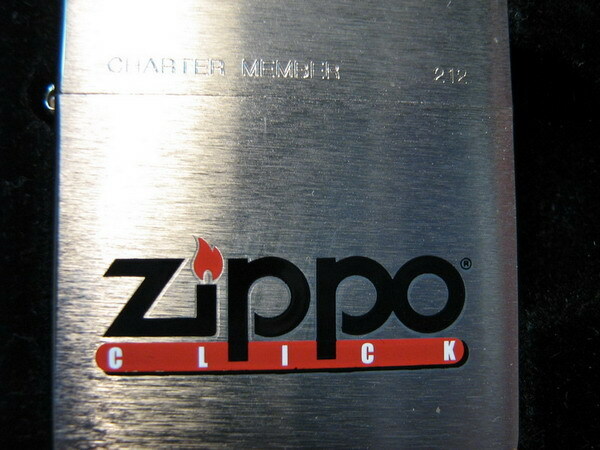 2004 One of a kind luminous Zippo. 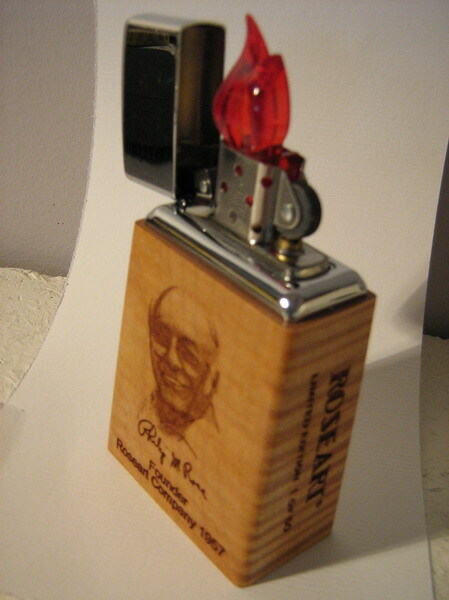 This beauty was made by a good friend, Jeff Lawton, in the USA. 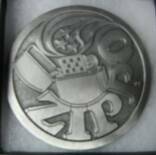 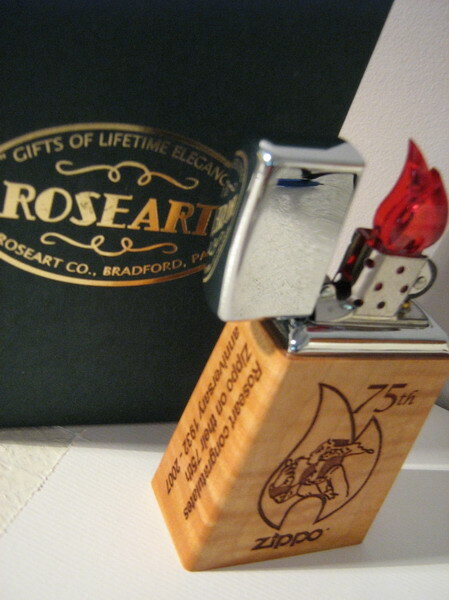 He based the design on a traditional Maori bone fish hook pendant that was given to him at the 2004 Swapmeet. 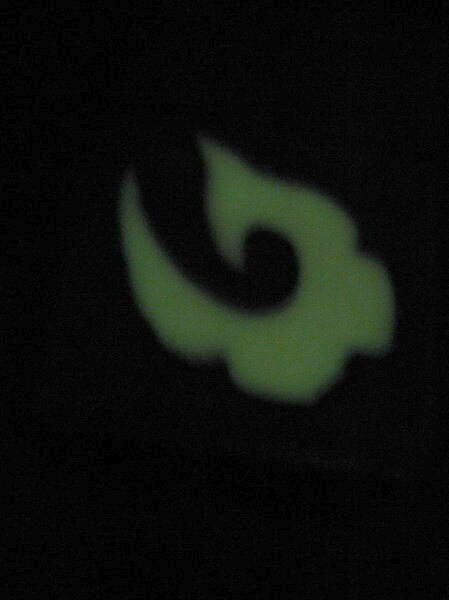 The fish hook glows in the dark. 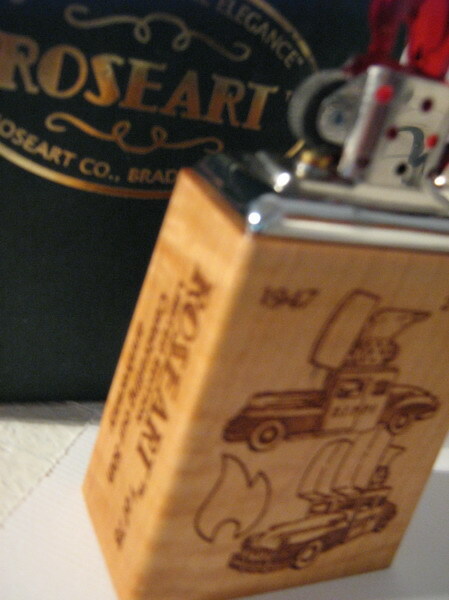 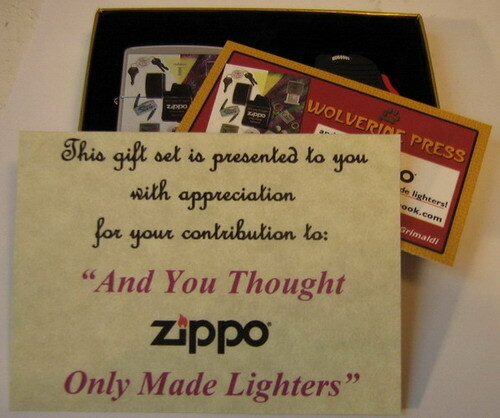 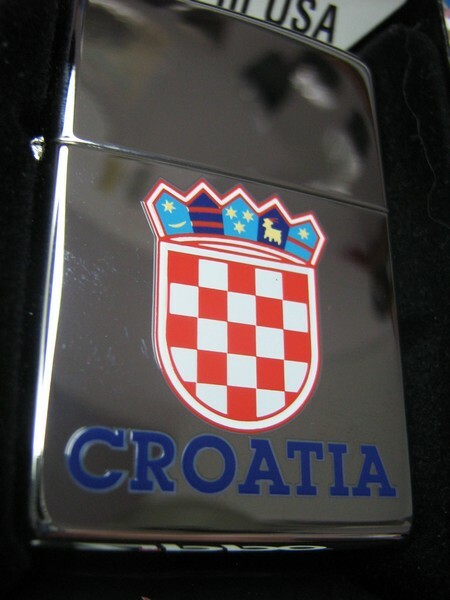 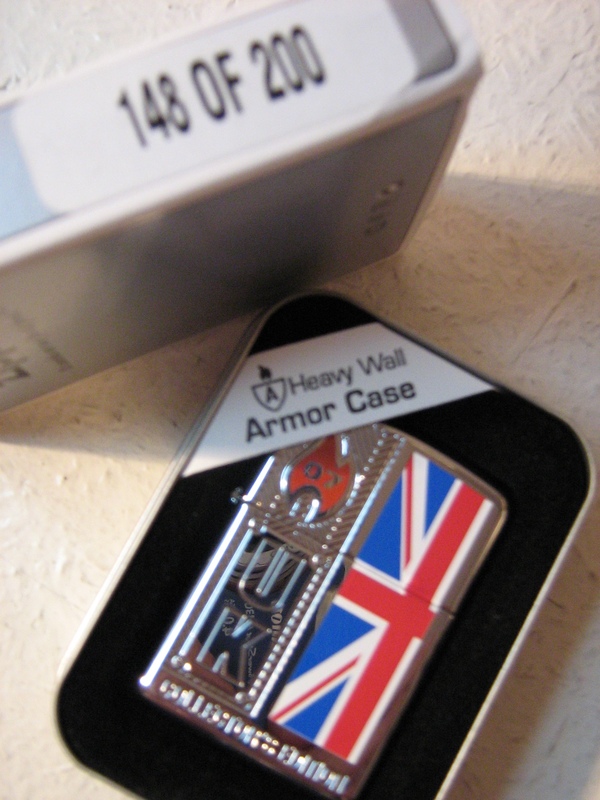 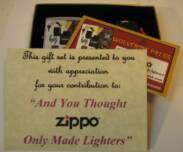 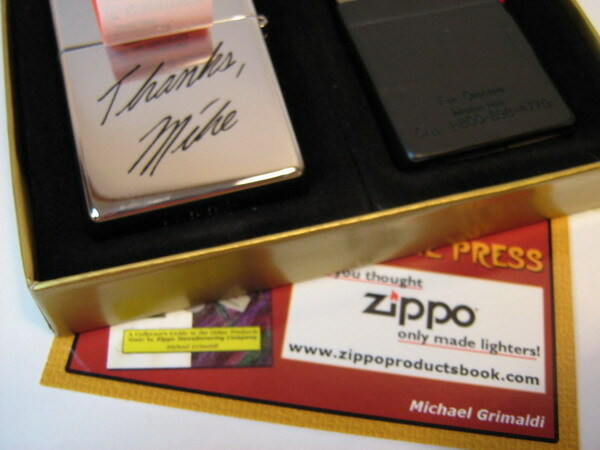 Gift from author, Mike Grimaldi, featuring the cover of his book "And you thought Zippo only made lighters". 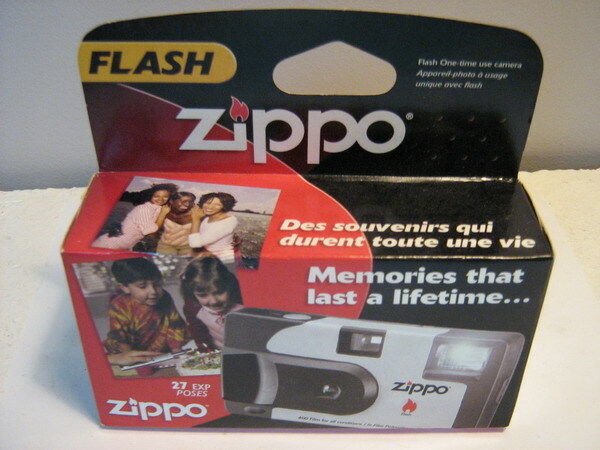 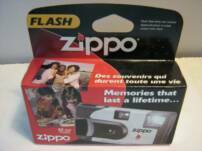 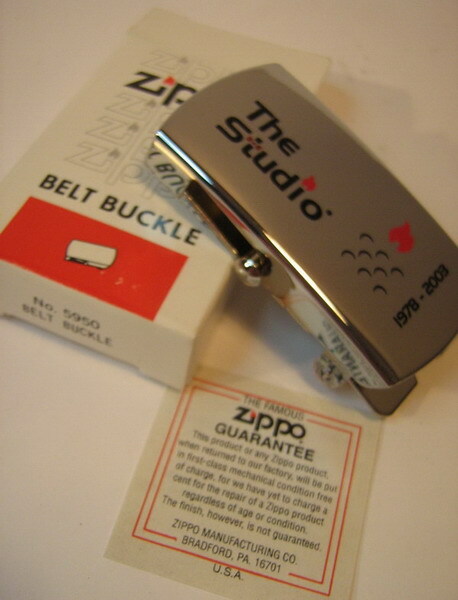 These were produced as a set accompanied by a Ziplite insert & 50 were made in total. 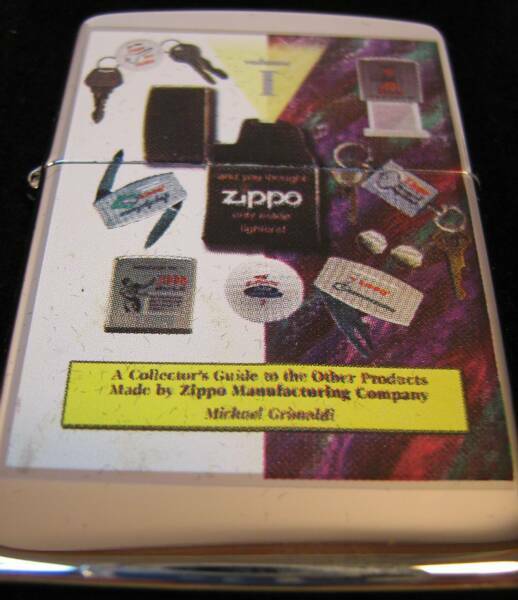 Cheers Mike for a great set & an even greater book. 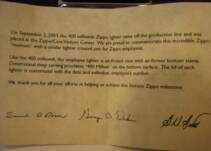 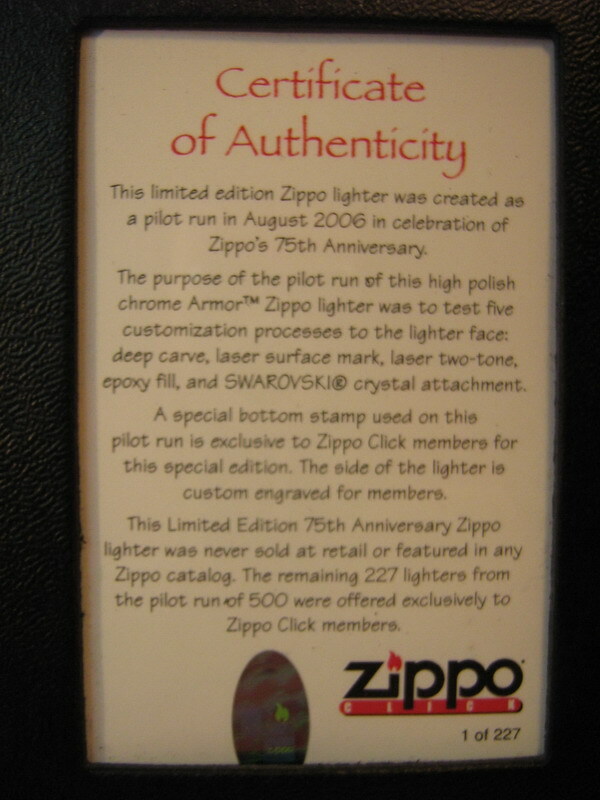 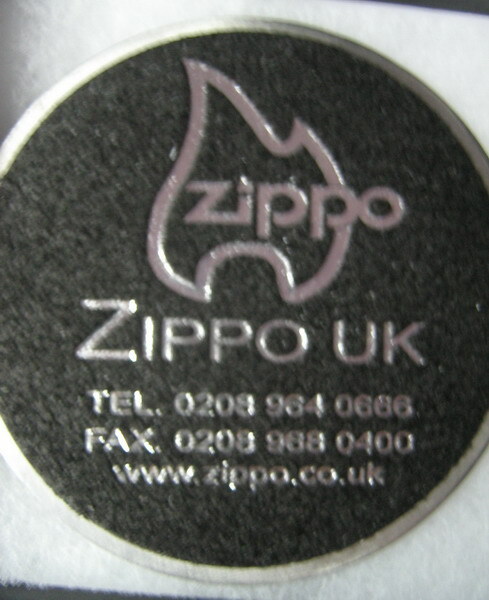 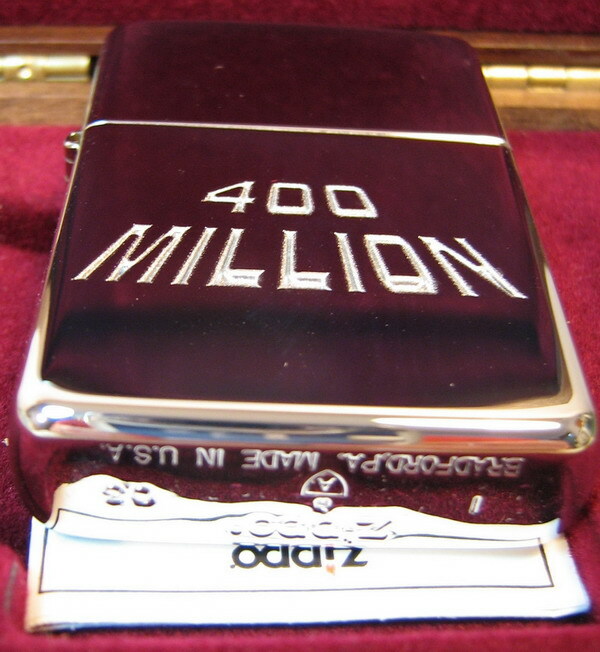 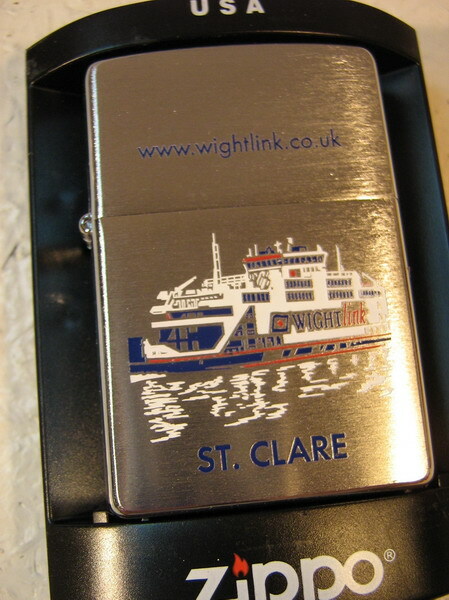 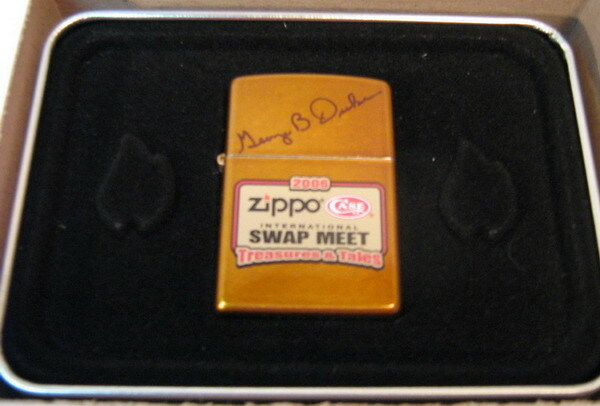 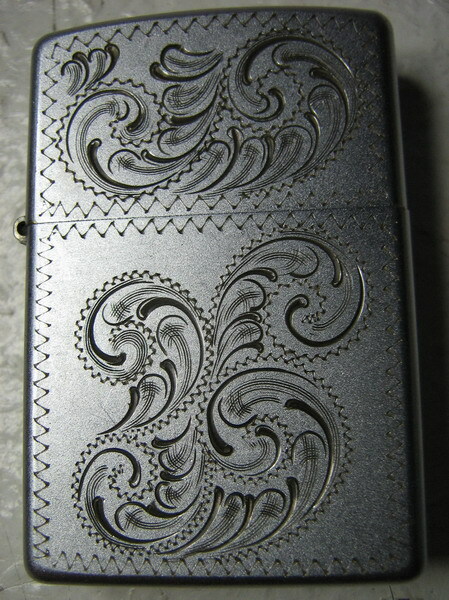 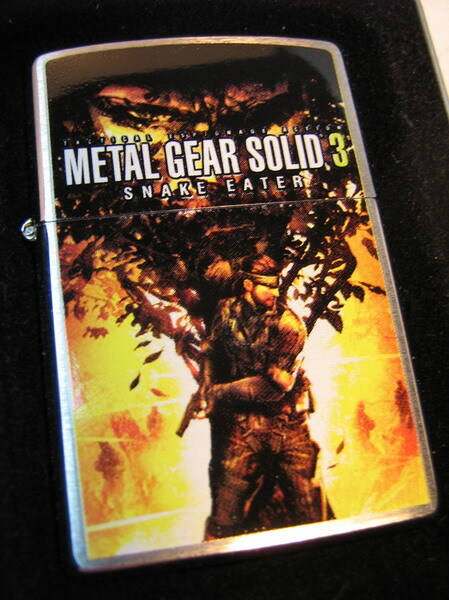 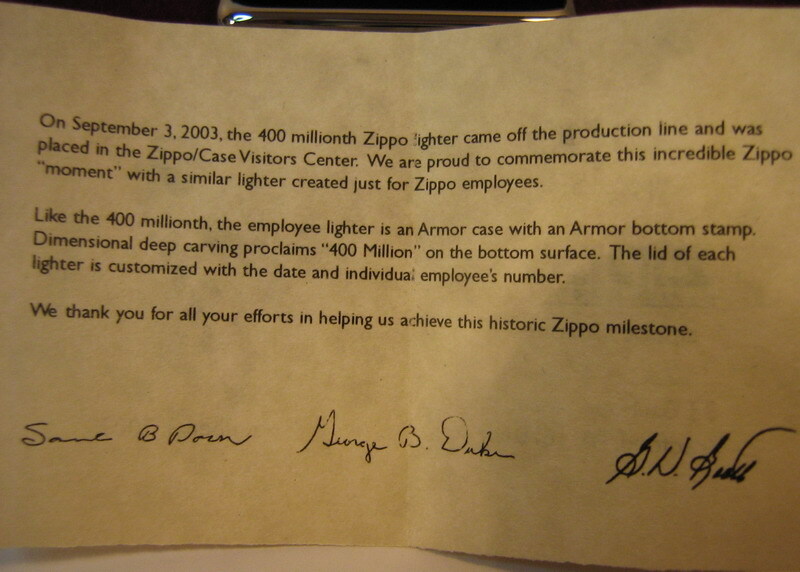 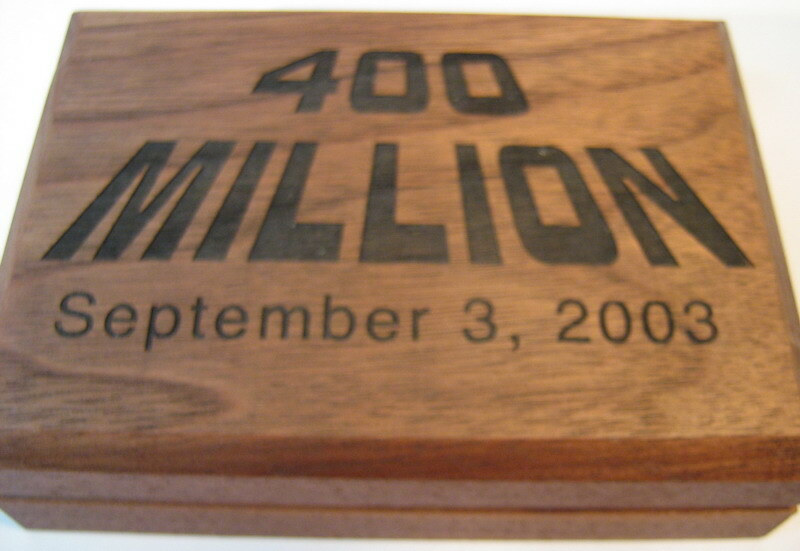 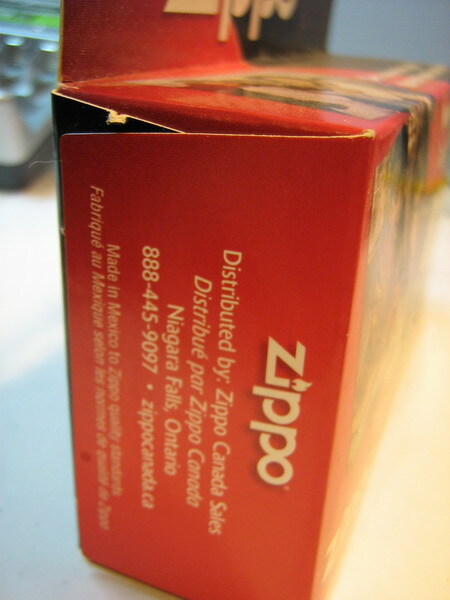 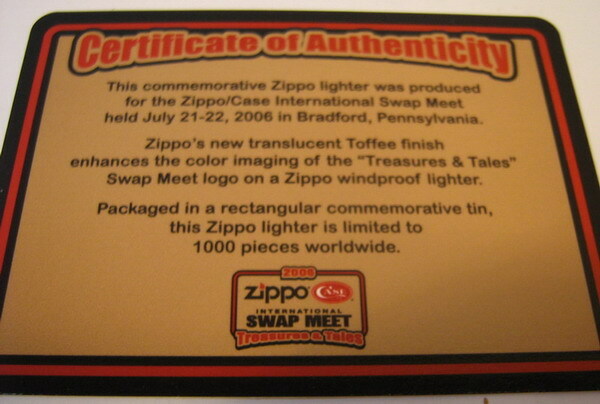 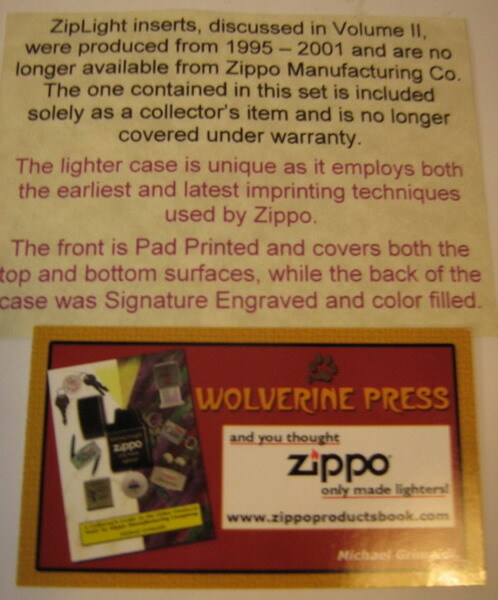 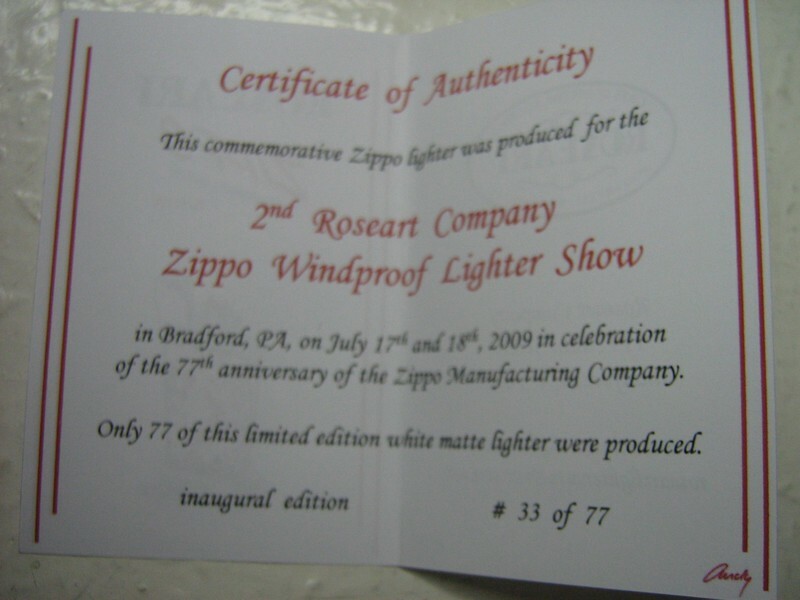 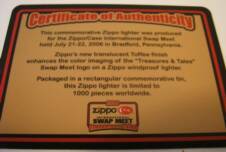 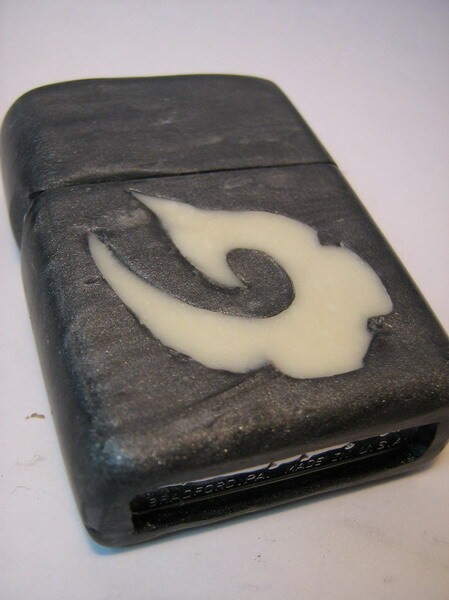 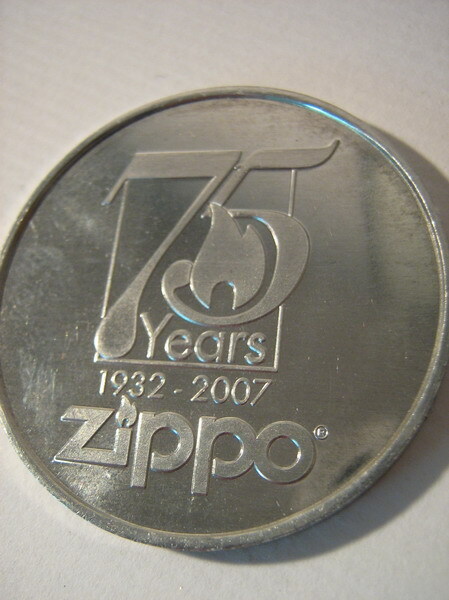 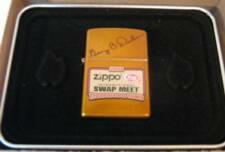 A 2006 Toffee Zippo made for the 2006 Swapmeet, with accompanying letter. 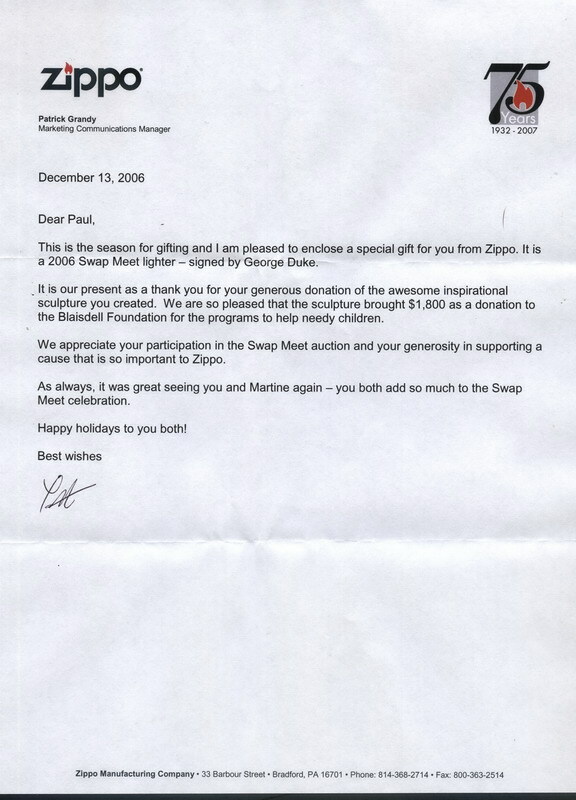 This was a surprise Xmas thank you from Pat Grandy, Zippo's Marketing Communications Manager, for the 10 piece Charity Auction set & is specially signed by Mr George Duke. 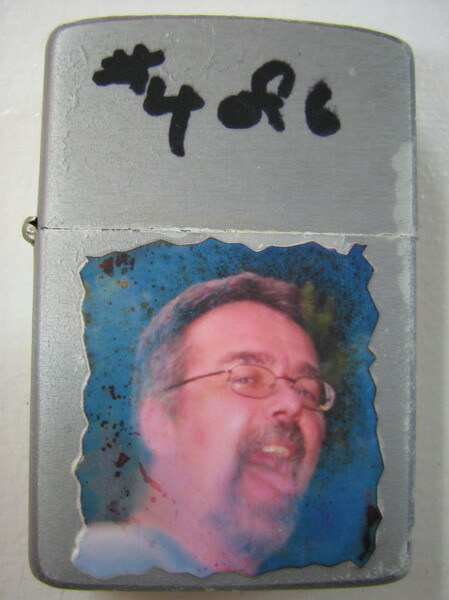 Custom made "pastie" of Brother Bob Eh - although it's numbered 4 of 6, there were actually 7 made - possibly the most beautiful custom ever made!!?? 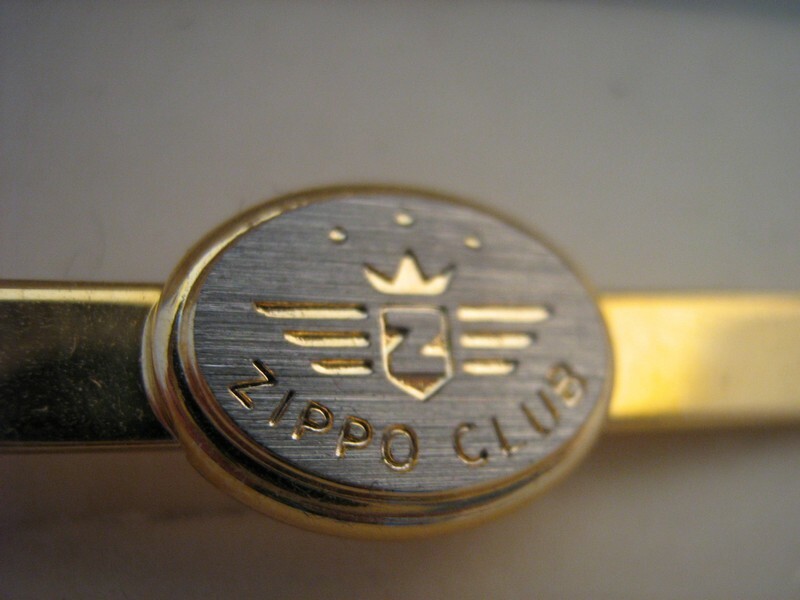 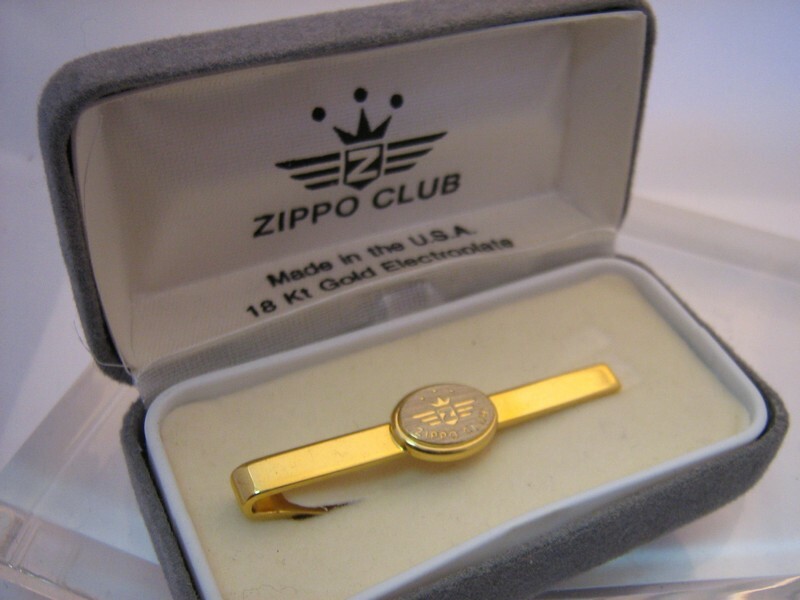 Zippo Club tie pin, ?? 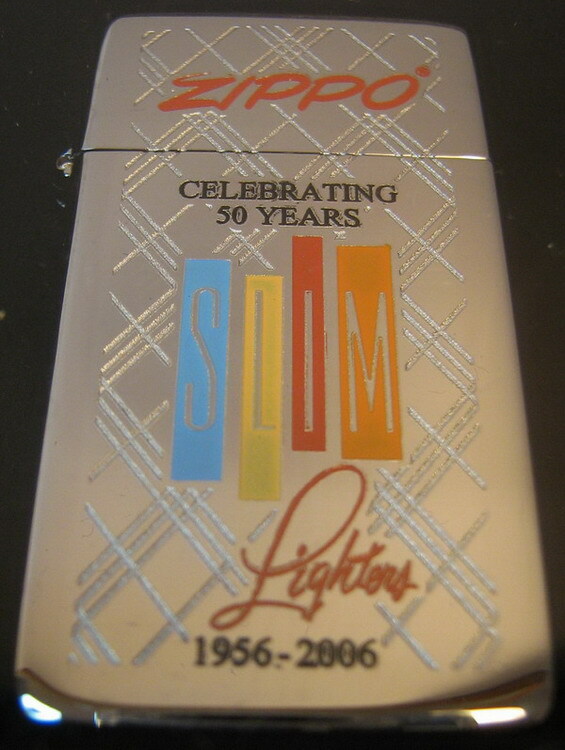 2000's.